Via Wikimedia Commons. This is a picture of a whole lot of sugar. Vocal fry: I (Emily) am a biologist. This phrase makes me think of tiny, loudmouthed fish. But it's really about a vocal tic. Do you do this when you speak? It’s all the rage among young XXers these days. Decaying hoods, premature birth: living in among dilapidated buildings linked to higher risk of premature childbirth. Do you know when you want it? Yes, that It. Women can do math. Yep, as well as men. Or maybe we should write that as, Men can do math. Yep, as well as women. Male circumcision: the controversy continues. Does it or doesn't it stem the transmission of AIDS? In his own hand, his own, awesome genius hand: Newton's Principia available for virtual viewing. New standards for teaching chemistry. Speaking of chemistry, have you heard what the relationship is among chemistry, alchemy, and urine? How much federal money are we wasting on investigations of alternative health and medicine. Example: Coffee enemas for pancreatic cancer (!). 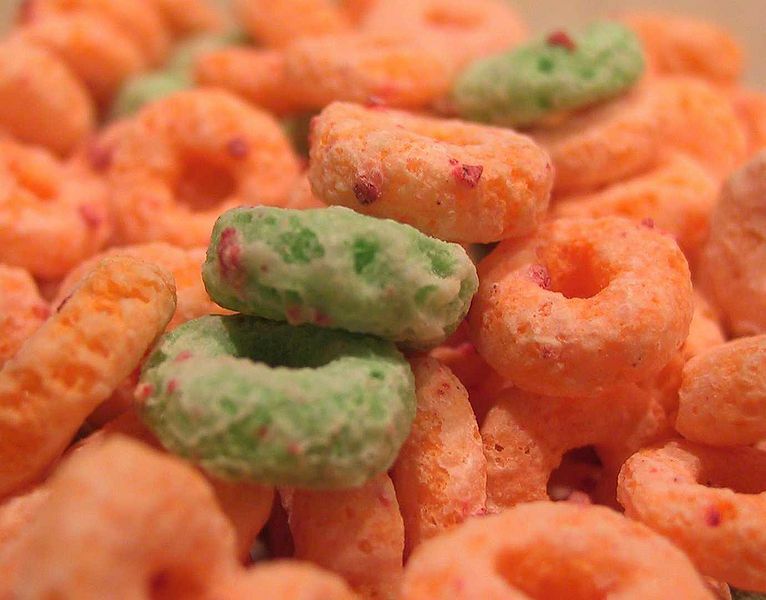 Cereal offenders: How do we get the sugar out of breakfast cereal? We’re thinking it’ll take a shovel. No raw cookie dough! Can we say it enough? No. Raw. Cookie. Dough. Vit D not miracle preventative for heart attacks or cancer. Evidently, there are some things that vitamin D cannot do.